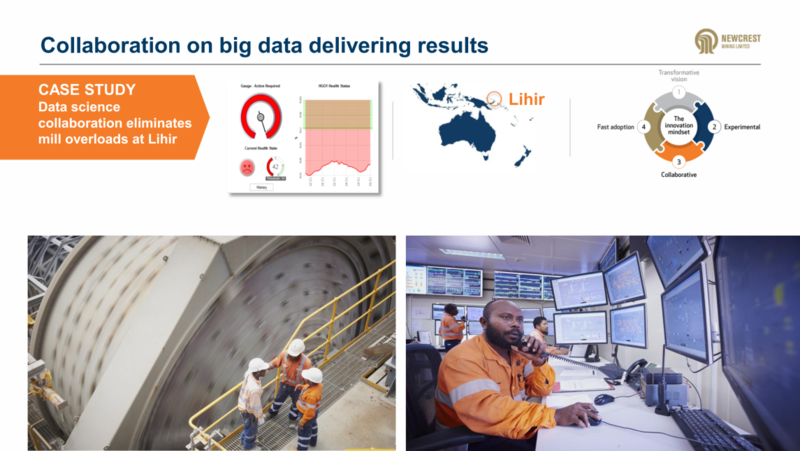 The Lihir mill FORESTALL® overload algorithms were developed using an engineered approach to data science. For example; in this case, engineering knowledge was used to create an additional 650 engineered signals from the original 143 raw signals for each SAG mill (about 800 signals per mill). Including engineered signals in the algorithm development significantly increased the accuracy of the algorithms. Just like when we hear a song over and over we get better at detecting when something is played out of tune, machine learning is able to distinguish normal operation by learning what is normal machine signal, and what isn’t.